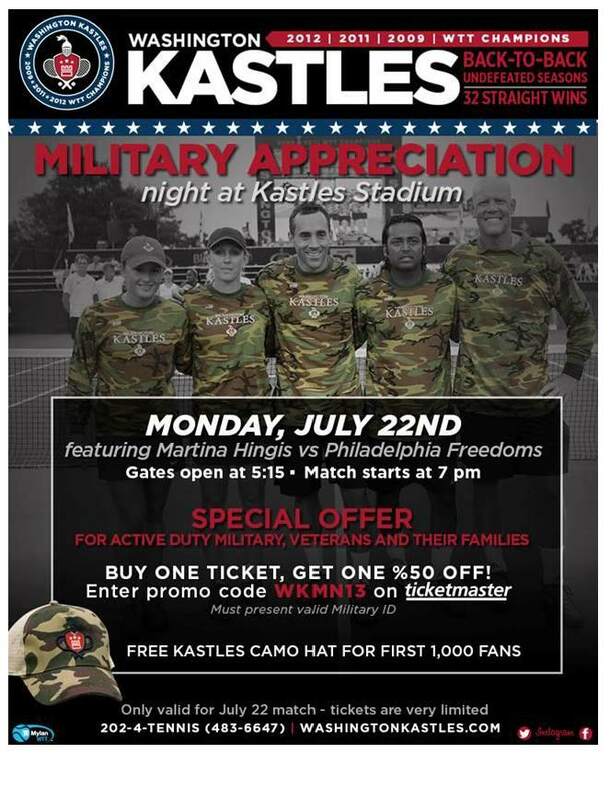 NOVA/DC area ThanksUSA scholars & military families: The Washington Kastles will host Military Appreciation Night on Monday, July 22nd. See Martina Hingis and the Kastles take on the Philadelphia Freedoms! ThanksUSA has a limited number of FREE tickets available for our scholars and local military families. If you’re interested, please message us on Facebook. We will fulfill requests on a first come/first serve basis. If you miss out on our free tickets, don’t despair…Active-duty, veterans, and military family members can get Buy One, Get One 50% Off tickets through ticketmaster using promo code WKMN13. 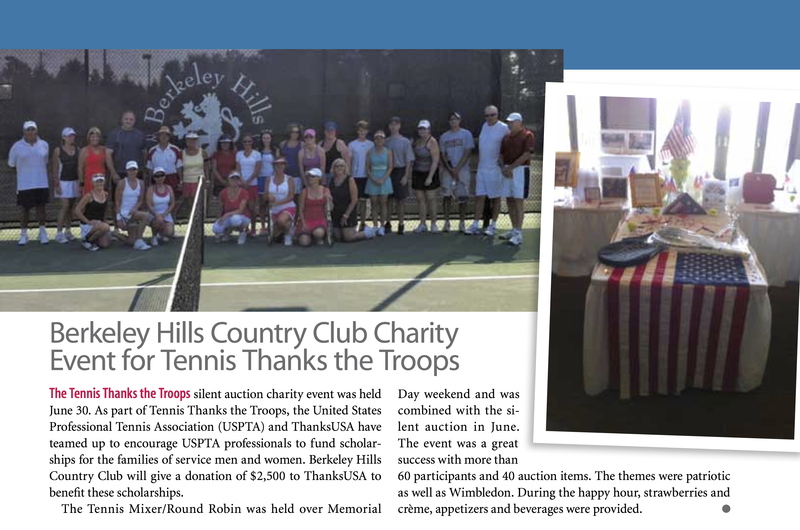 Berkeley Hills Country Club Raises Racquets for Tennis Thanks the Troops! Our sincerest thanks to the Berkeley Hills Country Club in Duluth, Georgia, for raising their racquets in support of Tennis Thanks the Troops! The club hosted a tennis mixer/round robin and silent auction raising $2,500 for ThanksUSA scholarships! 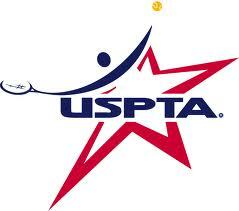 We encourage all USPTA pros to register their club as an official Tennis Thanks the Troops host facility. 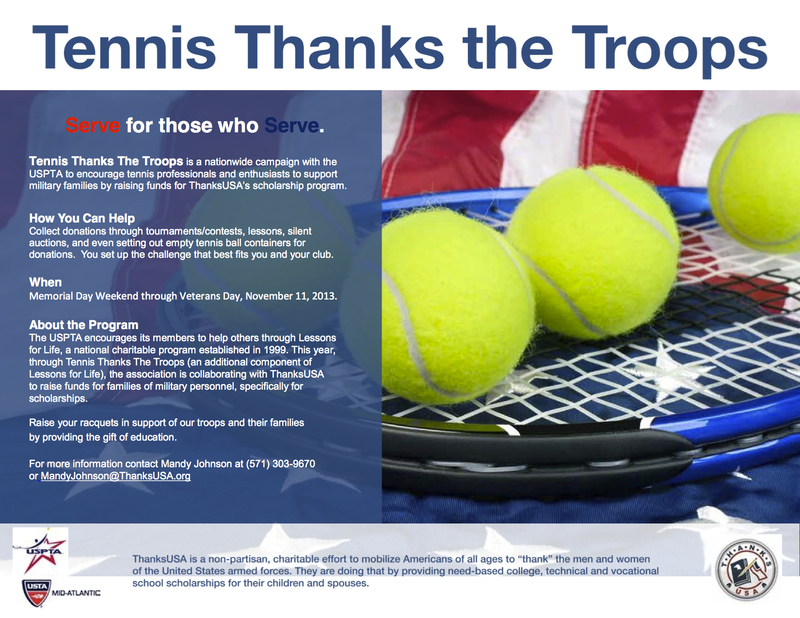 If you’re an avid player or fan, be sure to tell your club’s pro or director about Tennis Thanks the Troops today. 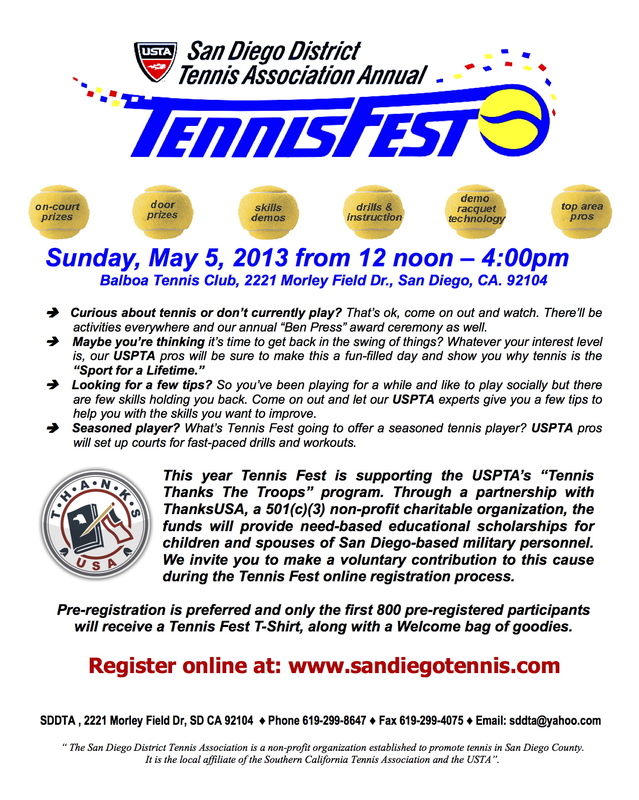 The club raising the most money for Tennis Thanks the Troops will be able to send their pro and one guest to New York for the US Open, on August 30, 2013.